If you’re reading this, chances are that you would have used a razor at some point during your life. That’s the most common method used to get rid of unwanted hair. But this comfort comes at a cost – the dreaded razor bumps. Apart from minor nicks and cuts, razors can also give you painful, itchy, red bumps. These are infected hair follicles causing a burning sensation on your skin. Yes. 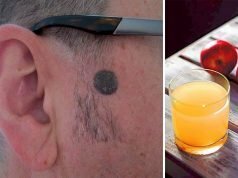 The bacteria growing underneath your skin is causing the unsightly red bumps that are itchy after shaving and painful, particularly in the arms, legs and on the face. To avoid ingrown hair, cessation of shaving is not the remedy. What Causes These Itchy Razor Bumps? These are caused by shaving improperly or using low-quality razor blades or shaving tools. When a hair get cut beneath the skin it curls up when it begins to grow. Blocked pores and skin cells don’t allow them to sprout from the skin. They get trapped inside, giving you infected razor bumps. Use the best razor, avoid using old or disposable razors. It’s your skin. You can’t compromise on its well-being. 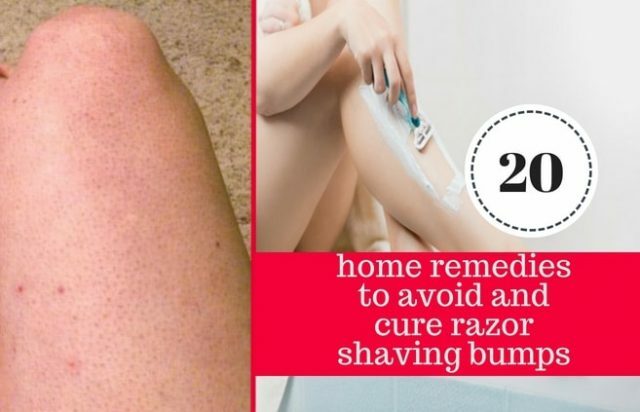 How long do razor burns last? These can take anywhere from 3 to 7 days to heal. However, if they get infected, the situation can get complicated and may need more attention. Are you looking for solutions? You have come to the right place for help. We have put together a list of the most popular and effective ways to give you instant relief. First and foremost, remember – ‘Prevention is better than cure’. Razor burns can be prevented by using high-quality razors and changing them periodically after 10 – 15 uses. Those with sensitive skin must be extra careful and change blades more often. Clean them with rubbing alcohol and dry it thoroughly before putting it away for the next use. Don’t compromise on the quality of items for personal use. Blunt razors can cut hair improperly making the hair tips sharp and crooked, causing hair to grow back into the skin. Use sharp-edged good razors for a clean shave. Don’t get carried away by those fancy ads. Dual razors first cut the top hair, then scrape the skin and cuts below that. This is often the cause of razor bumps because the hair begins to curl and grow under the skin. Oils from the skin attract bacteria, causing inflammation and bumps on skin. Avoid double or triple blade razors. Thumb rule is – always shave in the direction of your hair growth. Shaving in the opposite direction will cause razor cuts and burns, as the blade scrapes the skin before cutting it when it goes against the hair growth. Apply a cream or try any of the natural remedies suggested below immediately after you shave. Don’t put away exfoliation. Do it at least once a week. Another effective way is to make a mixture with sugar granules and olive oil. Apply it to the affected area after a shower and gently massage in a circular motion. The sugar naturally exfoliates the skin pulling out the dirt and bacteria from the clogged pores and making those unsightly razor bumps go away. Olive oil will moisturize the skin, making it soft and glowing. Wash the skin with cold water to close the pores. Aloe Vera’s healing and soothing effects for skin are no secret and known to all. So why haven’t you tried it yet? Snip off a piece of aloe vera plant and gently squeeze the juice on the bumpy skin and see your itchy bumps disappear overnight. You may also apply pure Aloe Vera gel available with your local pharmacist directly on the skin. But be certain that it is free from alcohol or any kind of perfumes. Better yet, use a shaving cream with aloe vera. Soak a hand towel in warm water and place it on your skin until it cools down. Repeat the process 2 or 3 times. The water softens the skin and the heat, opens the pores. Now rub the skin very gently in a circular motion. The trapped hair will pop out giving you instant relief. This is a safe and effective treatment you can give yourself at home. Lemon juice is another one of nature’s powerful healing ingredients. Lemon juice is acidic and has great antibacterial properties. This is a very effective ingrown hair remedy. The natural acid in the lemon juice will destroy the growth of bacteria growing in the ingrown hair. This will help reduce the shaving bumps and the redness. Slice a lime into 2. Squeeze the juice out and dab it on the affected skin surface. Let it sit on a skin till it dries out. Wipe with a warm towel. Repeat the treatment twice a day on your infected bumps until the bumps disappear. The one-stop remedy to all your problems including a razor burn remedy is your kitchen mate – ‘Apple Cider Vinegar’. It is well known for its antifungal and antibacterial properties. Dip a cotton ball with ACV and dab it gently on the affected area. The goodness seeps in, destroying the bacteria giving you instant relief from Itching, redness and painful inflammation. Let it sit for about 10 minutes, wipe it with a warm towel. ACV also helps heal the bumps. If you suffer from sensitive skin, be sure to dilute the 1 tablespoon of Apple Cider Vinegar with three tablespoons of water before using. The goodness of sweet honey is well known. It is a versatile condiment usable in various forms – as a health food, and as a gnat trap! Honey is loaded with antibacterial, and antiseptic properties which help heal wounds. Honey’s natural moisturizing property helps heal skin tissues and scars. Place a small bowl of honey in hot water. The hot water will warm up the honey. Apply warm honey over the affected area. Let it sit for about 15-20 minutes. Wipe off with a warm wet towel. Warm honey will seep into the skin and instantly begin to work its magic, killing the disease-causing bacteria, and reducing inflammation. The warm wet towel will clean and open the clogged pores to free the ingrown hair. Baby powder is great for sensitive skin. It is commonly used instead of an aftershave lotion for oily skin. Dab some baby powder on the skin after every shave and gently massage it in a circular motion. This is particularly recommended for armpit razor burns. The fine granules absorb the oils causing bacterial growth and keep the skin clean and dry. Baby powder also helps soothe the skin and reduce inflammation. Your skin will stay soft, clean and smell great. Tea tree oil has strong antibacterial and antiseptic properties. Mind you, it is strong, so dilute it with some baby oil or olive oil. Gently massage the oil into your skin every time you shave. The tea tree oil protects your skin from razor burns and olive oil will soothe and moisture it, leaving your skin soft, supple and glowing. Tea tree oil is like clove oil. Its strong properties could irritate the skin. It is best to dilute it before using. Mix 2 tables spoons of baby oil with 5 to 6 drops of tea tree oil. Dab this solution on your razor bumps. Let it dry for about 10 minutes. Wipe it with a moist warm towel. Alternatively, you may also make a solution of one tablespoon of honey with 5 to six drops of tea tree oil and use. The soothing properties of honey will act in tandem with the tea tree oil and aid in a faster healing process. White Tea Bags – surprised! Yes, white tea contains tannic acid, which works well on inflamed or irritated skin. So, relax and make yourself a cup of tea (using a white tea bag). Remove the bag from your cup, sip your tea and place it on the inflamed area to reduce inflammation. White tea is also rich in antioxidants which will protect your skin from infections, prevent razor bumps and lend it a healthy glow. It is also a natural skin astringent and helps in reducing wrinkles. This power packed kitchen ingredient’s healing property has been underestimated. The bubbly action of baking soda with water is great to soothe and reduce inflammation on legs and hands. 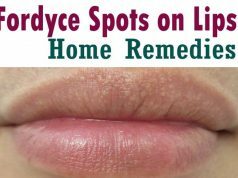 It works very well on skin allergies and rashes too. Make a paste using a portion of baking soda, mixed with three portions of water. Apply the paste on the affected areas of your skin and let it rest for about 10 – 15 minutes. Pat dry and you are good to go. Baking soda also has great cleaning properties. With regular use, you will notice your blackheads reducing and skin clearing out. This natural goodness of coconut oil is the cure for innumerable problems. Mix 2 tablespoons of warm coconut oil with a quarter teaspoon of salt. Apply it to your skin and rub in a gentle motion. Avoid applying it to open razor cuts or nicks, as contact with salt could burn. Salt is loaded with antibacterial properties and coconut oil is a magical emollient. The salt will fight the bacteria in the pores, gently opening them up. Coconut oil will soothe your skin and help in the healing process. Salt is also used as an anti-inflammatory and a painkiller. Applying coconut oil or balm after shaving is effective for a razor burn in the bikini area. Using cucumber on the skin is cooling and soothing. It is also used as an astringent for reducing wrinkles. Refrigerate a few slices of cucumber and gently rub them on your skin after you shave. It cools and soothes the skin and closes the pores. Alternatively, you can also make a pack of cucumber and oatmeal. Apply it on the skin after shaving for 10 – 15 minutes before you wash. Enjoy your smooth supple skin. Aspirin contains salicylic acid, which is a great exfoliant. Make a paste with 3 – 4 tablets of aspirin and a tablespoon of honey. Apply to the skin and wash with warm water. The salicylic acid in the aspirin gently exfoliates the skin and honey will moisturize the skin leaving it soft and supple. Turmeric is known for its strong disinfectant properties. It is very effective in diets and for external applications. Its strong antibacterial properties will work on the bacteria in follicles and reduce pain and inflammation in no time. Make a thick paste using turmeric and water. Apply it to the affected area and let it rest for 15 minutes. Wash with mild soap and warm water. Repeat twice a week for best results. Garlic is anti-microbial, antibacterial, anti-fungal, and anti-inflammatory. The organosulfur compound present in garlic helps control bacterial growth and is a reliable remedy to soothe razor burn. Rub some crushed garlic on the affected area and let it sit for 10-15 minutes. Wash thoroughly with a mild soap and warm water to avoid carrying the pungent odor with you for the rest of the day. Alternatively, you may use garlic and follow the same directions. Don’t undermine this bitter leaf. Neem is yet another great way to treat a shaving rash. Boil some neem leaves, filter, and make a solution. Refrigerate it. Dab a cotton ball with the neem juice and apply on the skin after every shave. Leave it in for 10 minutes and rinse with cold water. Alternatively, you can also use neem face wash or neem soap. It is a great remedy, after shaving down there to avoid bumps in the pubic area. With the given remedies and precautions, say goodbye to razor bumps. Remember to use a clean razor. Wash and dry it thoroughly after every use and replace the razor periodically. Do not let your razor sit in moist areas. It will become a host for bacteria. If you have sensitive skin, shaving your hands, legs, and armpits may not be for you. Consider waxing. Waxing uproots the hair from the roots avoiding embarrassing and painful razor burns. For facial hair, try waxing or threading. If you can shell out a little extra, consider laser hair removal. A Brazilian laser hair removal is not a bad solution for pubic hair. It’s something you can think about.